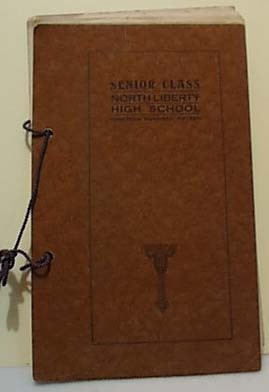 Program Senior Class North Liberty In 1915. This is a program booklet of the Senior Class of North Liberty, Ind. High School in the year 1915. The senior class program has a semi hard tan cover that is loose leaf and held together by a brown cord. 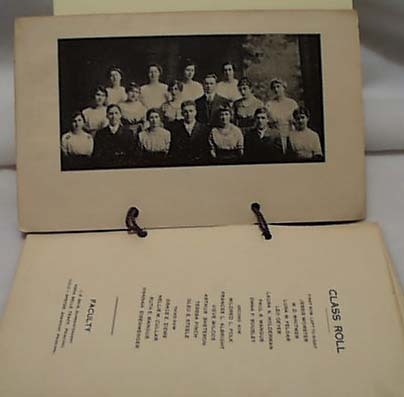 This is a souvenir copy of the text of the salutatory history prophecy and valedictory as delivered by the members of the class of 1915 of the North Liberty, Ind. High School at the commencement exercises held Friday, April 23. There is a picture of the graduating class and it shows 17 members. It lists the names and it appears all 17 are present. There are 16 pages. One page has a corner missing and the missing piece measures 2" wide by 2 1/2". Rest shows a little wear but would consider excellent condition for its' age. Measures approx 5" by 8" . Also there are three old Studio Photos of one of the above classmates. We are not sure which one but could not throw them away. One is of a young man taken at a South Bend, In Studio. 4 1/4" x 6 1/2. The next photo is of a young lady, studio unknown and the third is of a family and taken at a studio in North Liberty, IN. 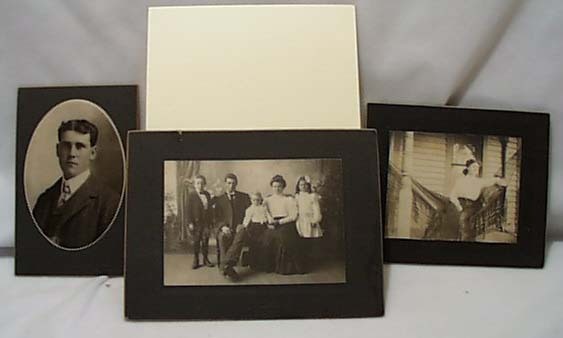 The young lady's photo measures 6 1/2" x 5 1/2 and family photo 8" x 6. All are in excellent condition. Items Similar To "Program Senior Class North Liberty In 1915"
Oil on Canvas by Edith Morehouse, "Still Life with Oriental Figure and Vase"